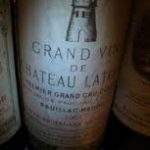 Can Chateau Latour catch Chateau Lafite? We’ll find out on May 27, when vintages from Latour’s cellar in Bordeaux spanning almost 150 years go on sale at Christie’s International in Hong Kong. Wines resting in the perfect storage conditions of a chateau’s cellar command a serious premium. That was part of the story behind the mindboggling prices at Sotheby’s Hong Kong Lafite sale last autumn — a case of 1982 sold for $132,594, or $11,050 a bottle, double the average current price. 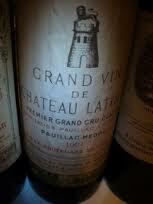 The key factor, though, was the continuing Chinese love affair with Lafite. At Zachys Hong Kong auction last month, Lafite accounted for only 19 percent of the lots, but brought in more than 40 percent of the dollars. So this month’s 392-lot all-Latour sale looks like a bid to woo more Asian attention, and get higher prices, for this famously long-lived first growth. No one at Latour, of course, is admitting they want to nudge out Lafite. There are also rarities like 1899, 1928, 1929, 1945, and 1959. The catalogue features not just bottles, but also attractive photos of the horses now used to plow the vineyard, a nod to biodynamics experiments. As an added provenance guarantee, wooden cases are branded with the auction date. Each bottle carries a special back label and uses a capsule seal from the Prooftag authentication and traceability system that verify the wine was released directly from the chateau.